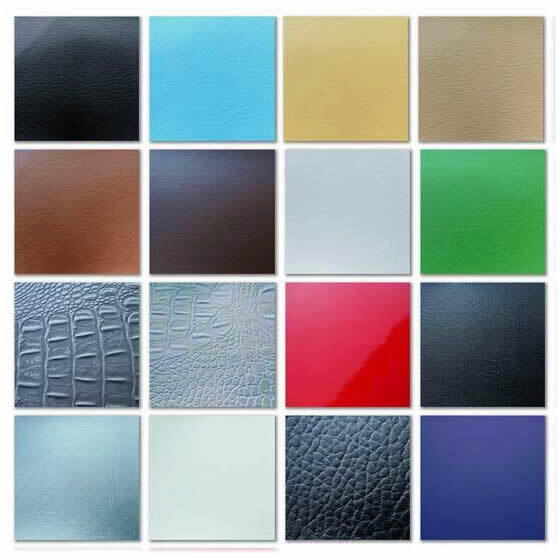 -- Please Select --Made to order, usually ships in 7-10 days. 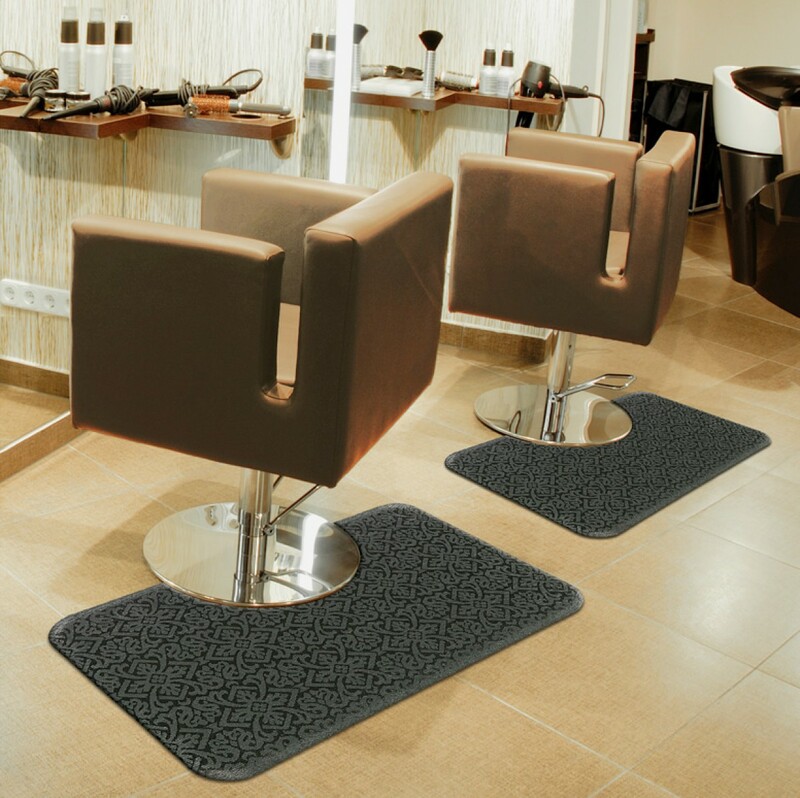 Fashion: Salon Décor anti-fatigue mats are available in four fashionable designs in a black/grey color scheme to create a stylish product that will look great in your salon. 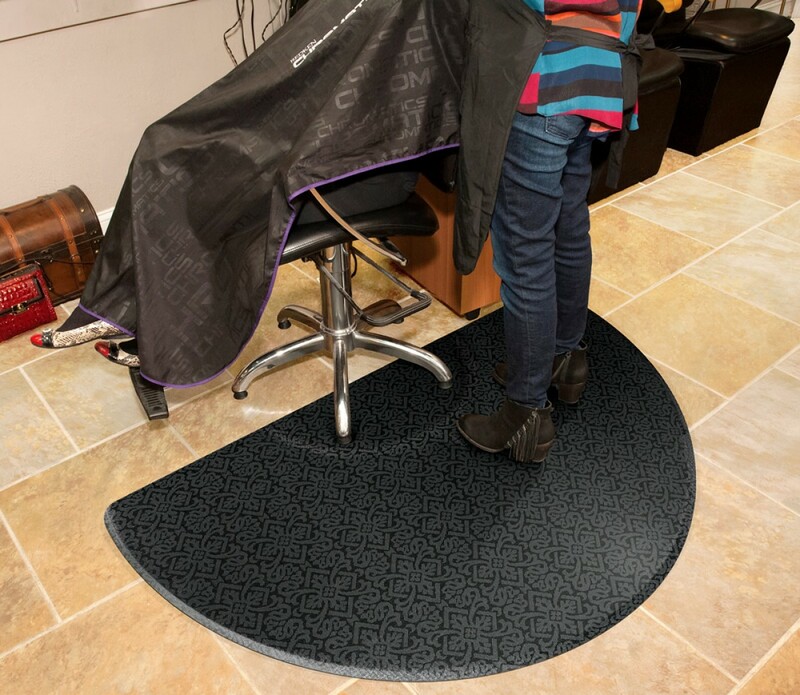 Durability: The Salon Décor mat's woven PVC top surface is stain resistant, resistant to punctures from shoe heels and easy to sweep clean. The industrial strength cushion backing will not crush flat and will keep your feet and legs comfortable even after a long day of standing. 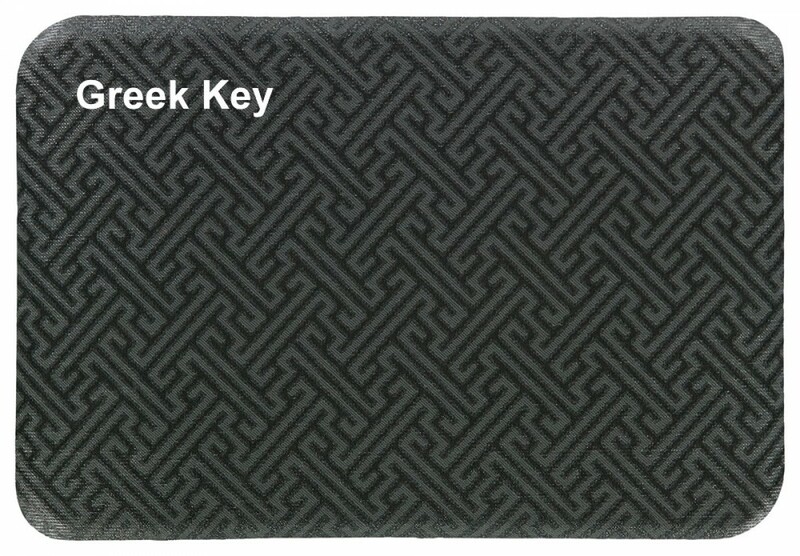 You can expect years of performance from these stylish mats. Comfort: Long hours standing on your feet is exhausting. 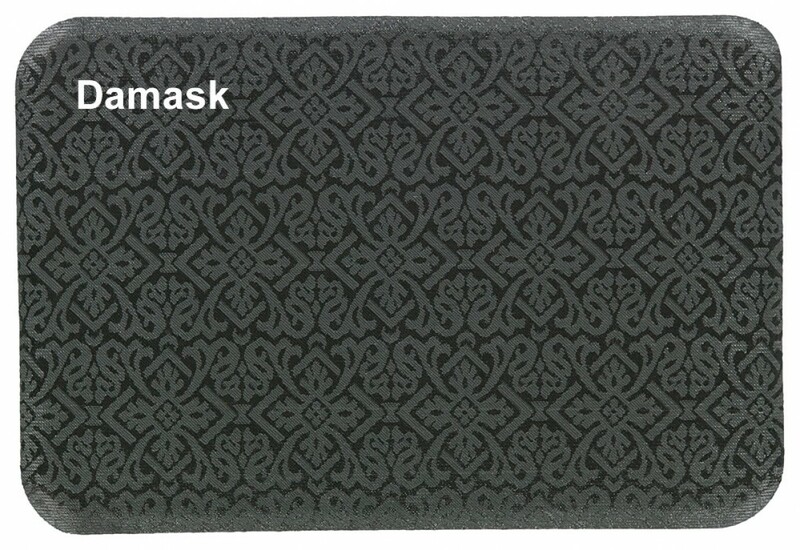 Research shows that anti- fatigue mats help to decrease fatigue by increasing blood flow and reducing strain on feet, knees and backs. 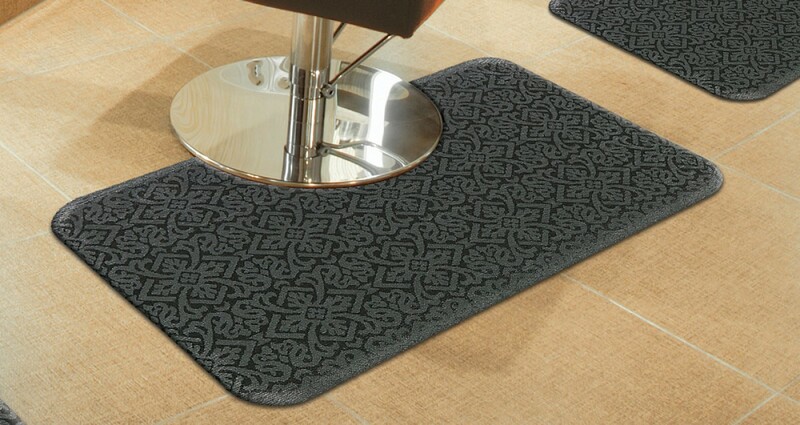 Salon Décor mats utilize a PVC Nitrile rubber cushion backing that feels great to stand on and will certainly make your feet happy. 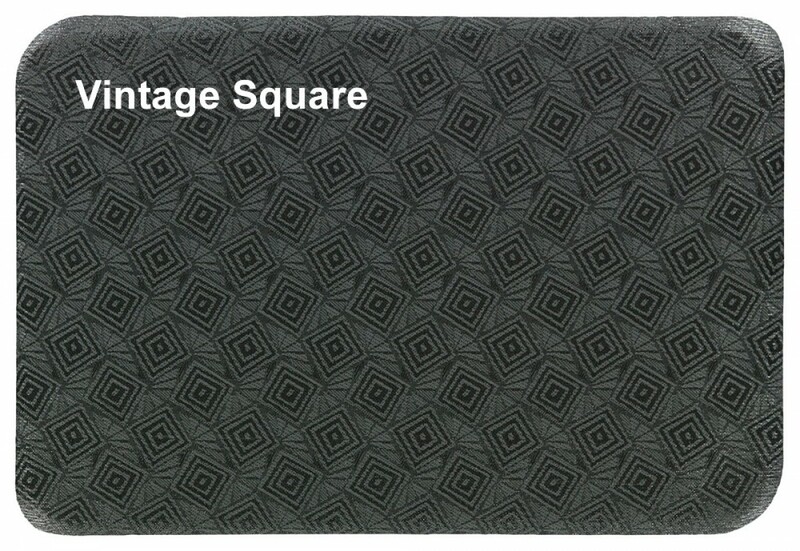 Care: Cleaning Salon Décor mats is quick and easy! Simply spray the mats with a mild surface cleaner and wipe off. Hair trimmings sweep effortlessly off the face of the mats, leaving you with les time cleaning, and more time attending your clientele. 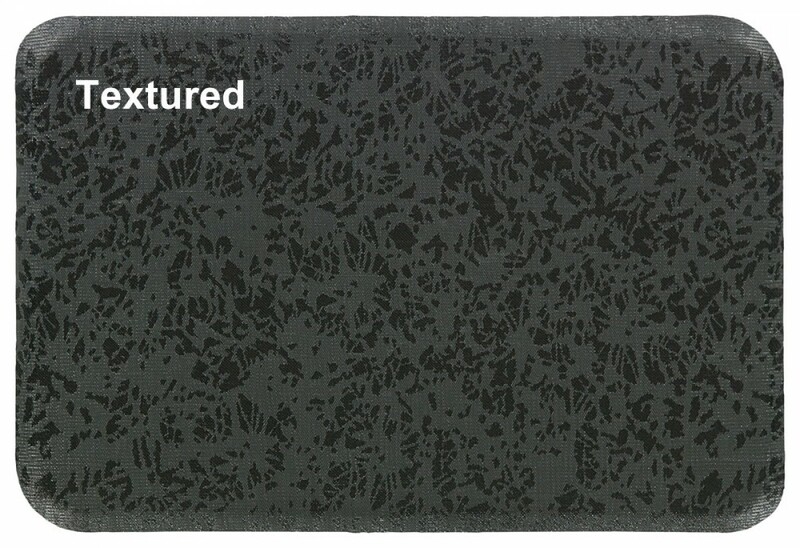 Salon Décor are currently available for round bases only.